This applet illustrates placing points equal distances on the circumference (perimeter). 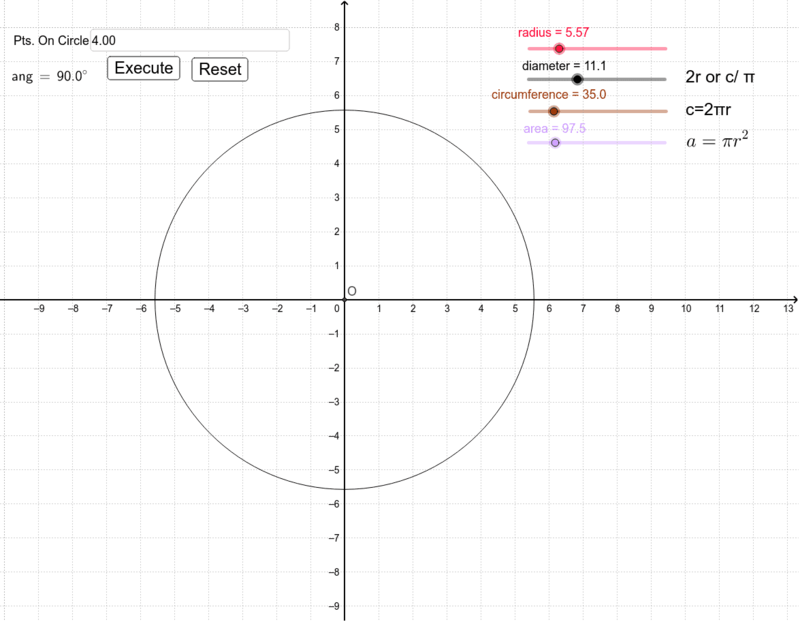 In order to address the variations of circle properties (radius, circumference, etc. ), learning to calculate all other properties from one needed. Note: because pi is an approximation, rounding up or down may show fractional differences.